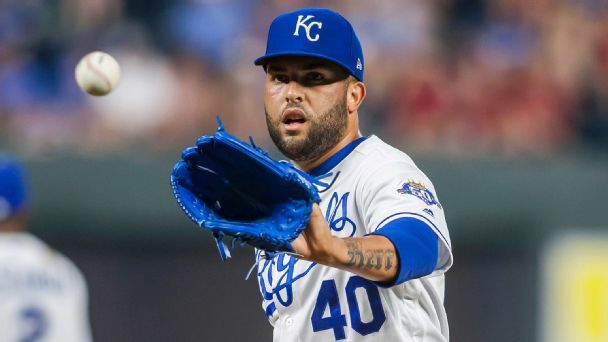 Landing Kelvin Herrera, perhaps the best available reliever, at a very reasonable cost is a great move for the Nats -- and they aren't finished yet. Can the Nationals' No. 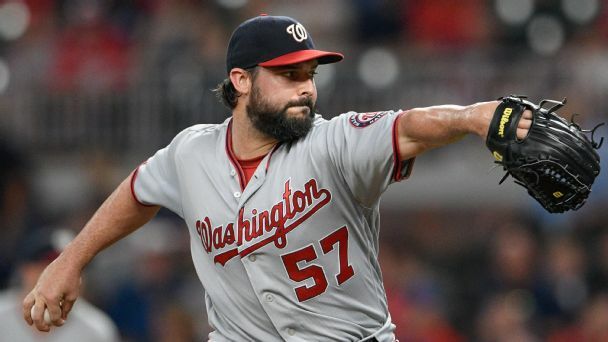 4 starter do what Mother Nature could not and help another luckless D.C. team beat the city's postseason whammy? 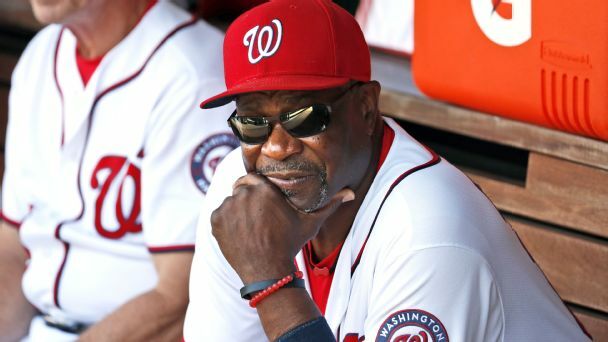 Each of Washington's past three NL East titles ended with a first-round playoffs exit. 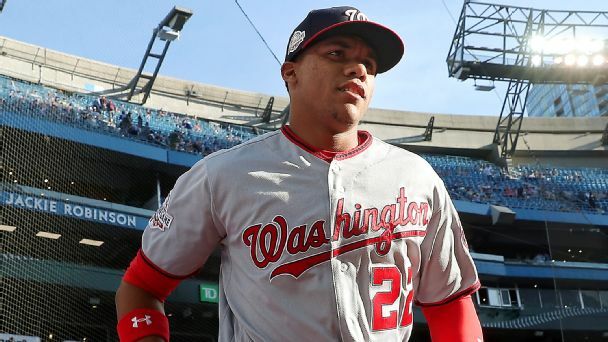 Another NLDS disappointment in D.C. could be devastating. 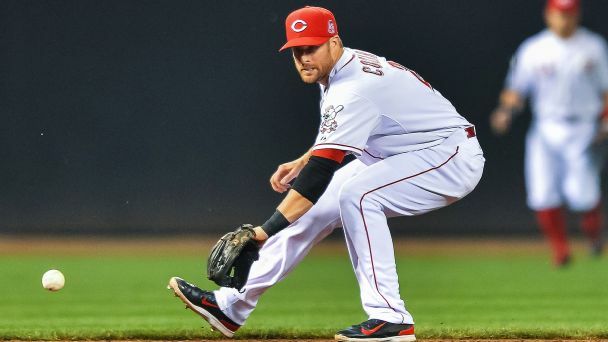 Rumor Central: No market for Zack Cozart? Impending free agent Zack Cozart seems like an ideal trade candidate, but the Reds have yet to find a match. 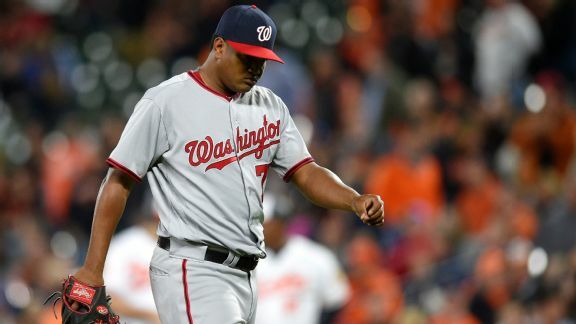 Washington's manager, who has used five different closers in 2017, saw his bullpen blow another ninth-inning lead in a loss to the Orioles. 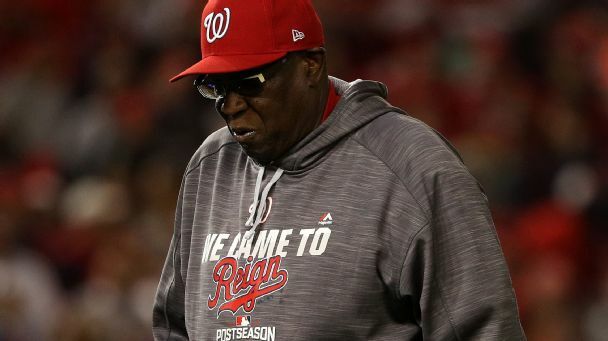 Dusty Baker doesn't know who his closer is and the Dodgers still have a hole at second base, but they aren't the only ones with problems to solve. 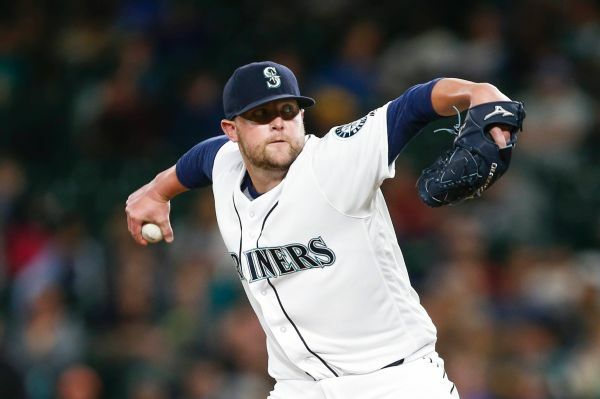 The Reds agreed to a one-year contract with right-hander Drew Storen, their first move to improve Cincinnati's historically bad bullpen. 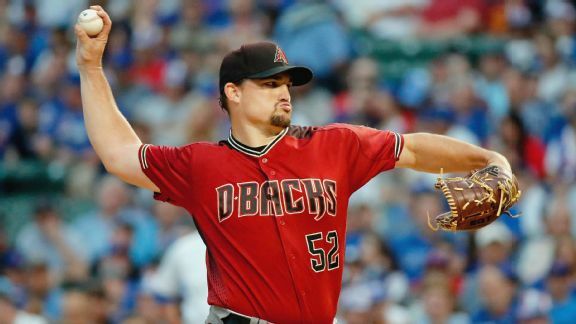 Could you serve up a winner using MLB's free-agent leftovers? 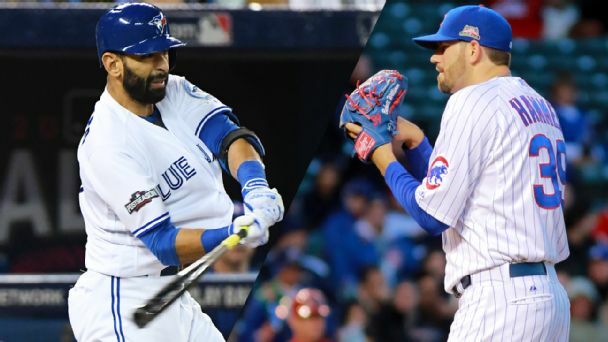 If you had a few hundred million dollars and a dream, could you write a recipe for a playoff team out of baseball's current crop of unsigned free agents? We set the table.